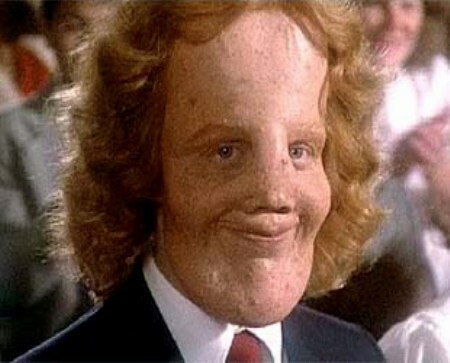 Remember the 1985 film MASK starring Cher and Eric Stoltz? What is Paget's Disease? 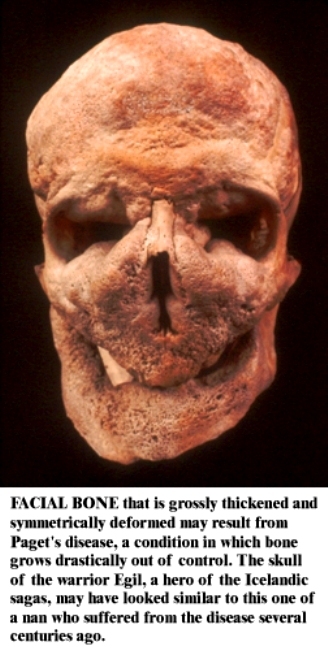 In the skull, it is sometimes known as Craniodiaphyseal dysplasia (also known as CDD or lionitis). 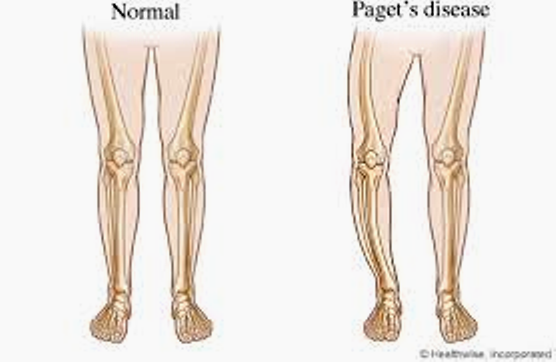 Paget's disease of bone or Paget disease of bone (rhymes with "gadget") is a chronic disorder that can result in enlarged and misshapen bones. Paget's is caused by the excessive breakdown and formation of bone, followed by disorganized bone remodeling. This causes affected bone to weaken, resulting in pain, misshapen bones, fractures and arthritis in the joints near the affected bones. 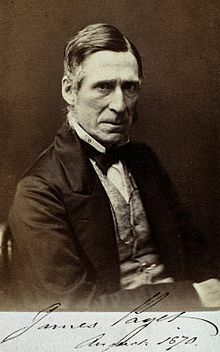 The cause of Paget's disease is unknown. 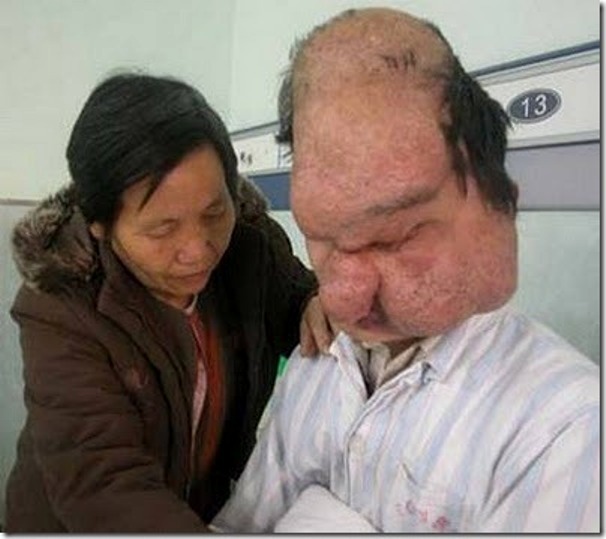 It may be due to genetic factors or a viral infection early in life. The disease occurs worldwide, but is more common in Europe, Australia, and New Zealand. 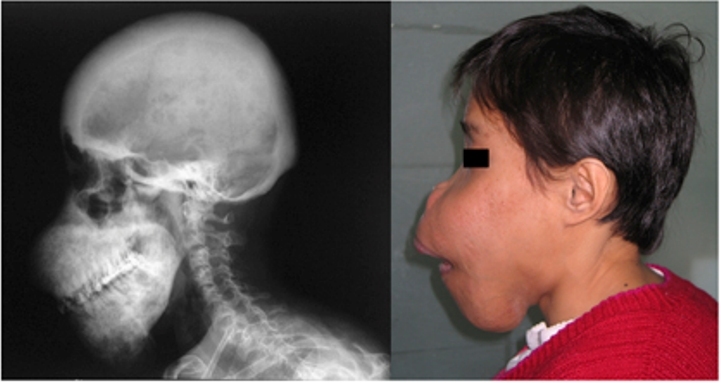 In people with Paget's disease, there is an abnormal breakdown of bone tissue in specific areas. 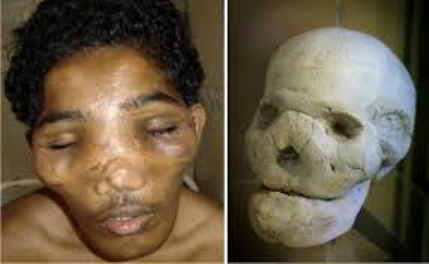 This is, followed by abnormal bone formation. The new area of bone is larger, but weaker. The new bone is also filled with new blood vessels. The affected bone may only be in one or two areas of the skeleton, or throughout the body. It more often involves bones of the arms, collarbones, leg, pelvis, spine, and skull. 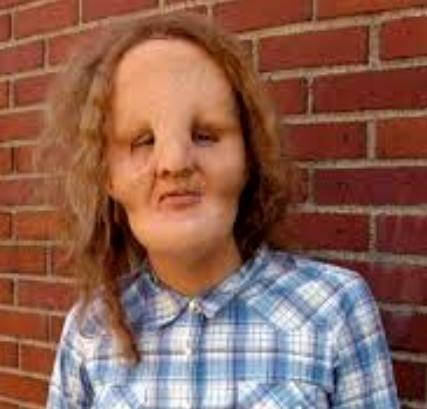 Most people with the condition have no symptoms. 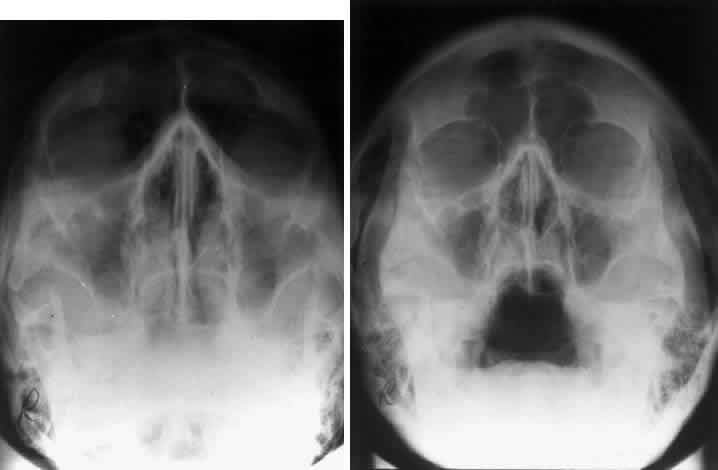 Paget's disease is often diagnosed when an x-ray is done for another reason. It may also be discovered when trying to find the cause of high blood calcium levels.